Thermal imaging devices and cameras can make heat energy visible to the human eye. This allows for complete analysis of the environment or an object. The thermal image produced by these devices is a thermogram. The highly-sophisticated technology behind thermal cameras allows heat signatures to be reproduced in a format that features in the visible spectrum of light. Thermal imaging cameras do not indicate a single temperature for an object, rather they reflect temperature variations from cold through hot and display them in a spectrum of colours. 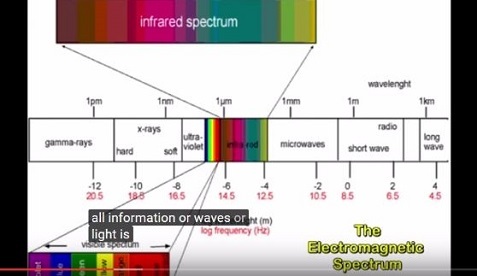 As human beings, our vision is limited to visible light on the electromagnetic spectrum. However, this is but a small portion of all light that is available on the spectrum. A much greater percentage is infrared radiation, the spectrum of light that requires specialized thermal imaging cameras. Handheld thermal imaging devices are rapidly catching on with society. One such product that is making waves around the world is Therm-App. It has multiple applications, including assistance with nighttime driving, weapons sights and even drones. Therm-App hardware is lightweight and it comes with interchangeable lenses to allow for HD thermal videos and imaging. It is expressly designed for Android smartphones and tablets and features low power consumption and impressive video quality. The versatility of thermal imaging cameras for Android phones is a big part of their appeal. They are rugged and reliable, in addition to being lightweight and versatile. These thermal imaging cameras are ideal for security, personal and professional applications and they connect easily to Android smartphones and tablets across the spectrum. One of the most popular Android thermal imaging cameras is the Therm-App HZ device. It is expressly designed for multiple high-speed applications. With several interchangeable lenses and high image quality, it allows for immediate sharing, streaming and recording of thermal imaging in HD quality. Why Use Thermal Imaging Cameras? There are many reasons why thermal imaging cameras are popular today. They provide easy solutions for rapid detection of gas leaks, short-circuits, water leakage and security breaches. Firefighters and police helicopters use thermal imaging cameras in their daily activities. There are also biological applications that can be enhanced with thermal imaging cameras. These include detecting wounds and infection, body temperature and more. Various palettes can be used to display different heat signatures. These include rainbow palettes, iron palettes and black/white/grey palettes, among others. Of course, high-quality thermal cameras can be customized for maximum functionality. When purchasing a thermal camera, thermal sensitivity is a key component to consider. A high-quality lens is paramount. The better the resolution of your images, the better the camera. High-quality cameras can detect thermal signatures from a greater distance and with greater quality than low-end cameras. These cameras do not see through objects, they only detect heat being emitted from the object. Fortunately, thermal cameras are superb for seeing through thick smoke, fog, smog, darkness and adverse weather conditions. This makes them ideal for outdoor activities, nighttime driving or safari adventures. Experts have evaluated the range of Android thermal cameras on the market, and the Therm-App currently ranks as one of the finest thermal cameras ever created. An extensive review of the Therm-App was recently conducted where the device is pitted against Seek. The following video review explains the benefits of the groundbreaking Therm-App camera. Is the Facebook Phone a Microsoft-grade error?